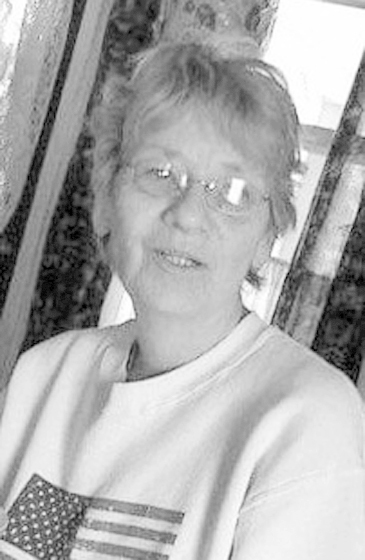 NEGAUNEE, MI – Nancy Gail Duckworth, 70, of Pioneer Ave., Negaunee, passed away Friday morning, November 30, 2018, at the Marquette County Medical Care Facility in the care of her loving family. Nancy was born March 20, 1948, in Detroit to Henry Joseph and Mary Elizabeth (Dobson) Shannon and graduated from Western High School in Detroit, Class of 1966. She earned her nursing degree from Northern Michigan University in 1977, and was employed at various facilities before retiring from the Marquette County Medical Care Facility. Nancy was also a co-owner of Midas Muffler in Marquette and Menominee until 1986. Mrs. Duckworth was a member of Redeemer Lutheran Church, Marquette. In her free time, she enjoyed bowling league, gardening, rescuing and restoring cast iron cookware, having lunch with her girlfriends and spending time with family, especially her beloved grandchildren. Surviving are her loving husband of 52 years, Joseph L. Duckworth, Sr.; her son, Joe Duckworth, Jr.; her daughter, Joyce (Robert) Abramson; six grandchildren: Joseph Duckworth, III, Kellan Duckworth, and Elizabeth, Mark, Alexanderia (Dalton Bertrand) and Erin Livermore; and her lifelong friends: Kathy, Linda, Mary and Michelle. Nancy’s family would like to thank MCMCF for the love, care and support provided to Nancy. It was very comforting knowing she was surrounded by past co-workers and the many memories and souls of the families she helped throughout her career. Memorial services will be held at 11:00 am on Tuesday, Dec. 11th at Redeemer Lutheran Church in Marquette. Visitation will be held at the church for one hour prior to services. In lieu of flowers, memorial contributions may be directed in her memory to Redeemer Lutheran Church. Nancy’s memorial page may be viewed at koskeyfuneralhome.com, where memories and condolences may be shared.